Don't miss my Spring Floral Sale running March 16-30! I have 38 watercolor flower paintings on sale- just in time to get your home spruced up for Spring! No code necessary. 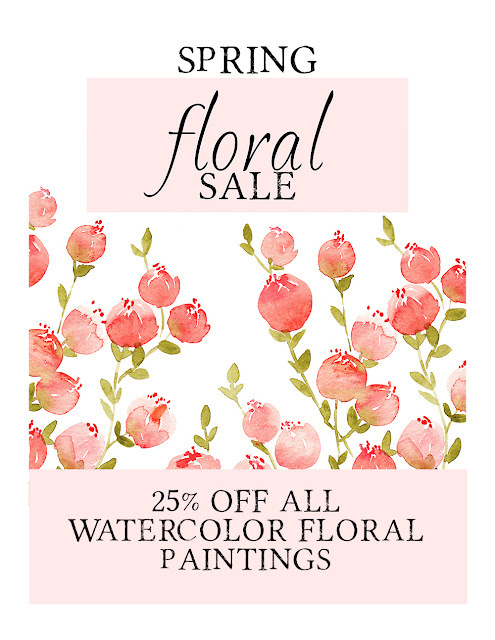 Just visit Elise Engh Watercolors and enjoy 25% off all floral painting orders at checkout!